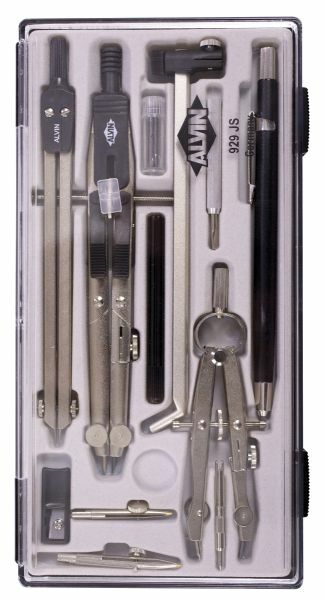 Set includes 6" speed compass with interchangeable pen pencil divider parts and replaceable needle points. 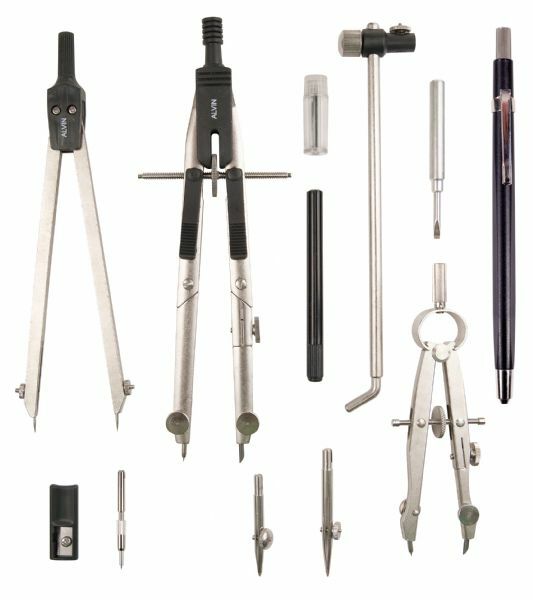 * 4½" bow compass with interchangeable pen pencil and divider parts. * 6" beam bar and slide coupling for circles up to 28" in diameter and 6" friction divider with self centering gear head and replaceable needle points. * Set also includes mechanical lead holder slip handle for spare ruling pen lead pointer and screwdriver. The circle diameter max is 28". 8.75" x 4.5" x 0.75"